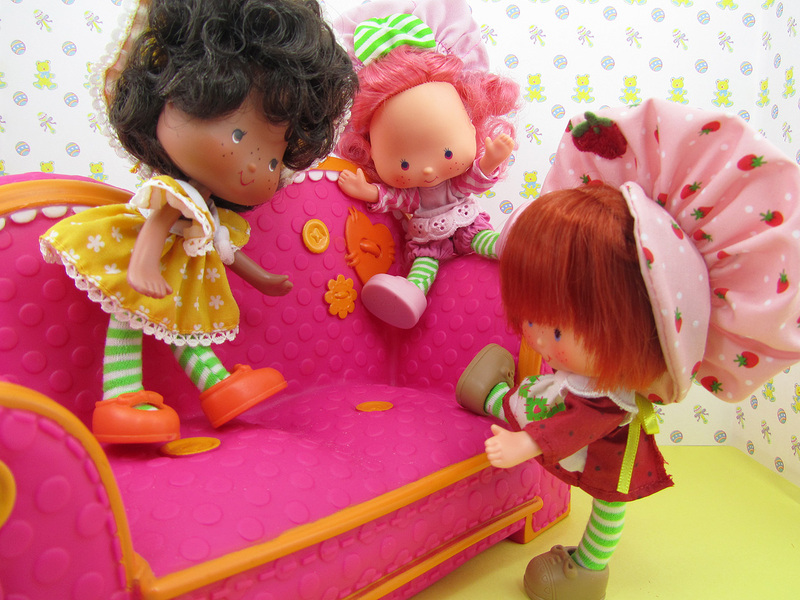 I'm a child of the 80's so I'm loving this vintage style Strawberry Shortcake gang. I'd been eyeing this set at Toys R Us for a good year before they landed in my hands. My partner was actually the one who cracked and decided to buy it for me. She's awesome like that. I must say, I had a blast photographing these dolls! They just ooze cuteness all over! They smell sweet too! My love for these dolls relates to a childhood memory . As a child, I once saw a strawberry-shaped dollhouse on a store display while my family and I were out for a stroll. I really wanted it. I just knew that dollhouse would have made me the happiest kid in the world. I wasn't the kind of kid who asked for things, but this dollhouse I wanted badly enough to ask for. Of course, I didn't get it. You can't always get what you want, I suppose. 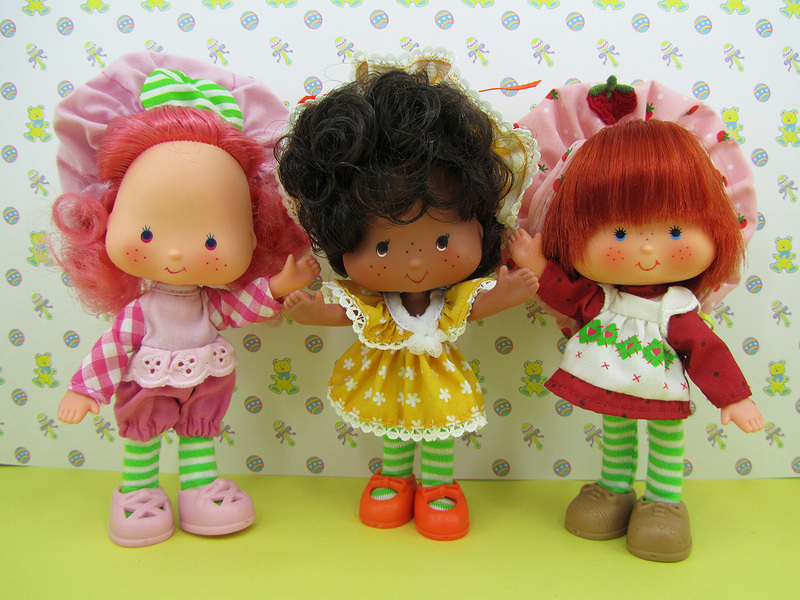 Now that I think about it, it's probably not a Strawberry Shortcake merchandise. I remember it being pink in color. Since it's strawberry-shaped, I'm afraid I've always associated it with Strawberry Shortcake and I've had a thing for Strawberry Shortcake since.